Don’t make lemonade! 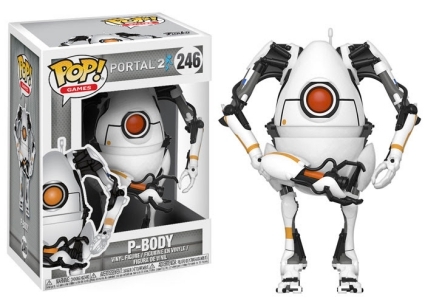 Instead, find your favorite Aperture Laboratories subject with Funko Pop Portal 2. 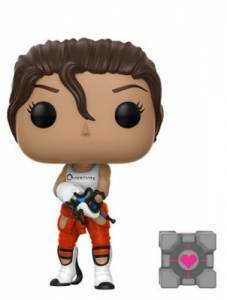 The debut release gives fans several characters to collect including Chell and Atlas. Players of Portal 2 awake from stasis as Chell, after many, many years of the Portal and Half-Life 2 events. Once again, gamers must solve puzzles to escape the science complex while being ridiculed by GLaDOS or for those who prefer the full name: Genetic Lifeform and Disk Operating System. 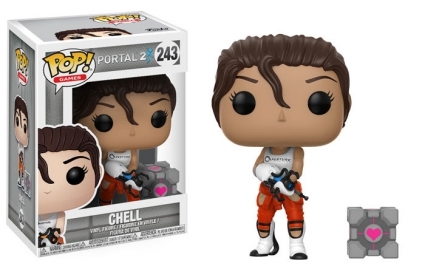 Fans and collectors can find Chell in an Aperture tank top and orange pants holding a Portal Gun. Also included with Chell, is the ill-fated companion cube. 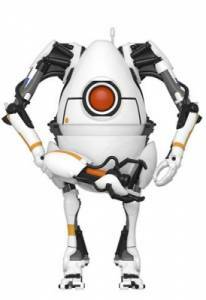 Order Funko Portal 2 Figures on Entertainment Earth. Numbered as part of the Pop! 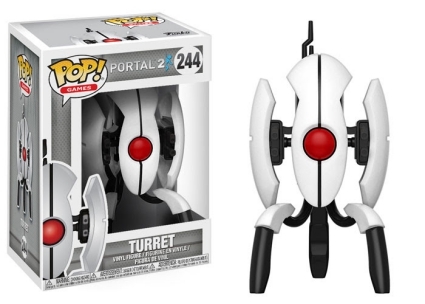 Games line, Funko Pop Portal 2 includes a sleek red-eyed Turret. In addition to Chell, and only in co-op campaigns, gamers have the option of controlling Atlas or P-Body. Created by GLaDOS, the Android test subjects are given human characteristics including individual personalities and even gender. ATLAS (male) is short and round with a blue portal while P-Body (female) features orange lines running to her portal. 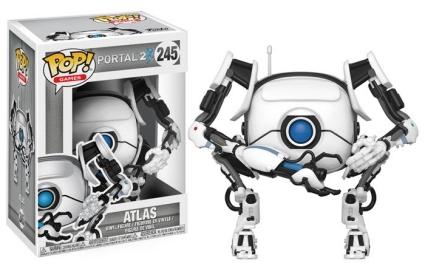 Also unique to Funko Pop Portal 2 is how ATLAS appears to made from several different pieces rather than the traditional Pop figure that is one single piece, although, this most likely is not the case.